Performance Time: Approximately 60-75 minutes, 68 pgs. COMEDY. 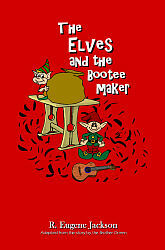 Inspired by the Brothers Grimm fairytale, “The Elves and the Shoemaker.” Granny and Pappy are down to their last $10. No, wait. They already spent that. They’re totally broke! But when some neighbors send a letter to the North Pole Elves’ Association on their behalf, three quirky elves (including an elf who is an Elvis impersonator) arrive to help Granny and Pappy before a crooked bank manager forecloses on their home. There are numerous opportunities to showcase physical comedy in this delightfully zany play.